Adversarial are a band from Toronto, Ontario, Canada that has been featured before in this zine and plays a mixture of war, black and death metal and this is a review of their 2015 album "Death, Endless Nothing And The Black Knife Of Nihilism" which will be released in August by Dark Descent Records. 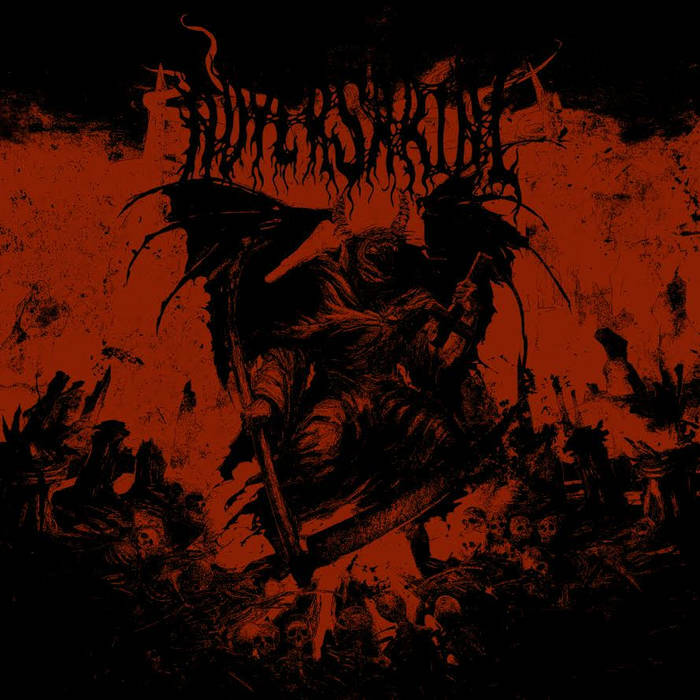 A very dark, heavy and brutal sound starts off the album along with a great amount of blast beats and death metal growls while some of the faster sections add in elements of war metal and black metal screams are added into some parts of the songs and the band also brings melodies into their heavy musical style at times. Throughout the recording there is a great mixture of slow, mid paced and fast parts and they also bring in an intro and interlude before a couple of the tracks and the drums also have a tribal feeling at times and when solos and leads are utilized they are in more of a dark and distorted black metal direction and there is also a brief use of spoken word parts and the whole album sticks to mostly a dark, heavy and brutal musical style. 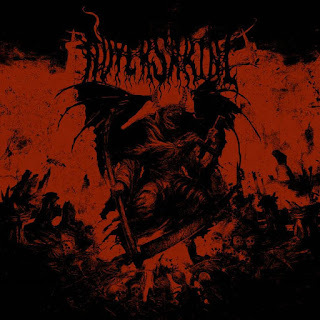 Adversarial continue the mixture of black, death and war metal of previous recordings while also showing a great amount of progress and skill as musicians, the production sounds very dark and heavy while the lyrics cover blasphemy, misanthropy and nihilism themes. In my opinion this is another great sounding recording from Adversarial and if you are a fan of this band, you should enjoy this album. RECOMMENDED TRACKS INCLUDE "Dissenting The Waking Shell" "Eonik Spiritual Warfare" and "Lone Wresting Hymns To The Warmoon Of Chaos". 8 out of 10.